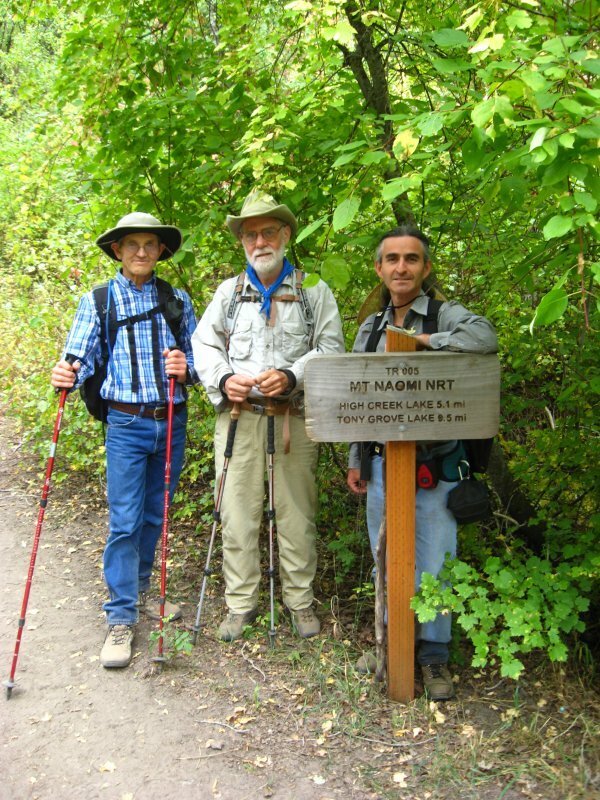 Four Cache Hikers, Denis, Dave, Gordon and Jim (the hike leader) went on the High Creek Lake hike. We expected a bigger turnout, but the Top of Utah marathon and the Bridgerland Audubon Society hawk watch hike were also going on. 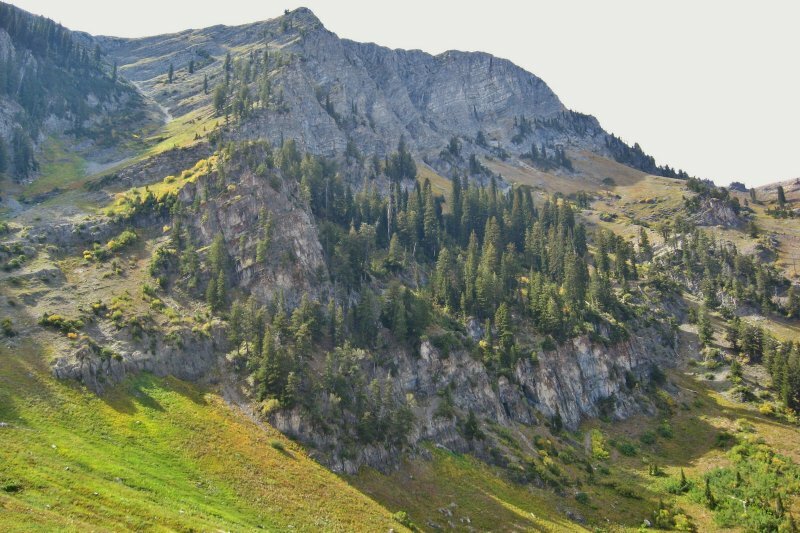 The hike began at the High Creek Trailhead and followed the Mount Naomi Peak National Recreation Trail, 5.1 miles to HIgh Creek Lake (10.2 miles round trip, with a 2800 foot elevation gain). The weather was perfect and the fall foliage was surprisingly colorful for mid September. 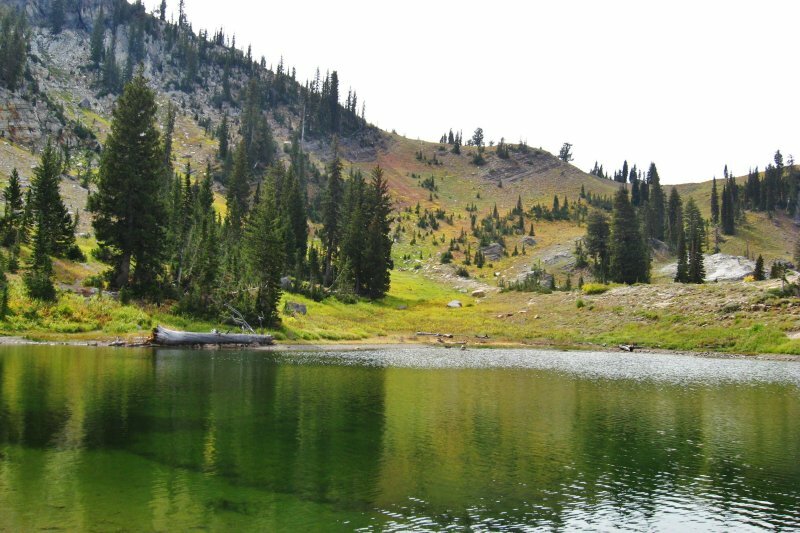 The hike to the beaver ponds was pleasant and would have been a good turnaround point for hikers not wanting to go all the way to the lake (this would make for a 6.5 mile hike with about 1500 feet of elevation). 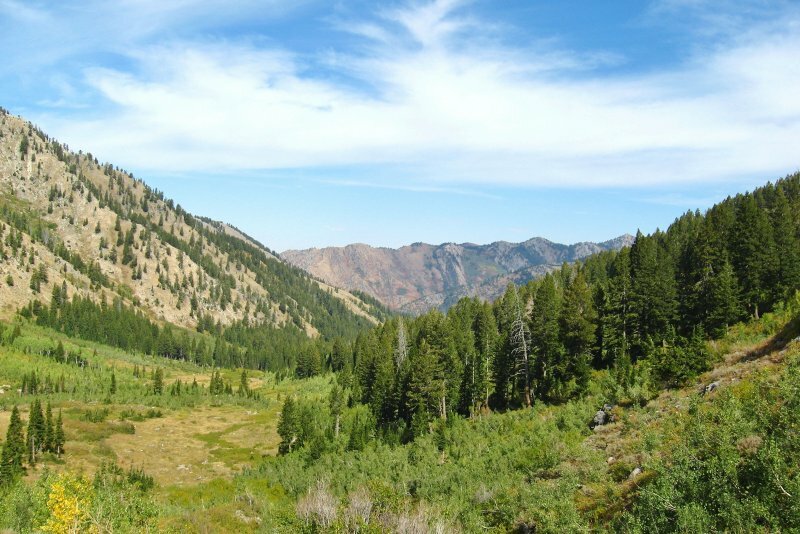 The hike from the beaver ponds was steep but had spectacular views of Cherry Peak and High Creek canyon. The lake was wonderfully scenic as usual. A large group of hikers were having lunch there, on their way from Tony Grove to the High Creek trail head. We knew people in the group, so when they asked if their cars were still at the trailhead, we jokingly told them that they were but one of them was covered in graffiti! 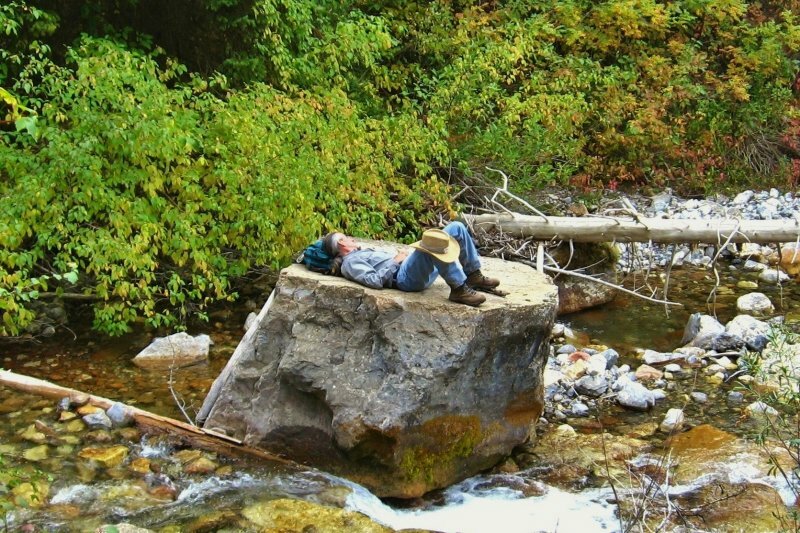 On the way down, Denis got far ahead of us and we found him napping on a large rock in the middle of the creek. We got off the main route to the highway on the way home and had a very nice tour of Richmond. (Thanks to Jim for the trip report and photos).